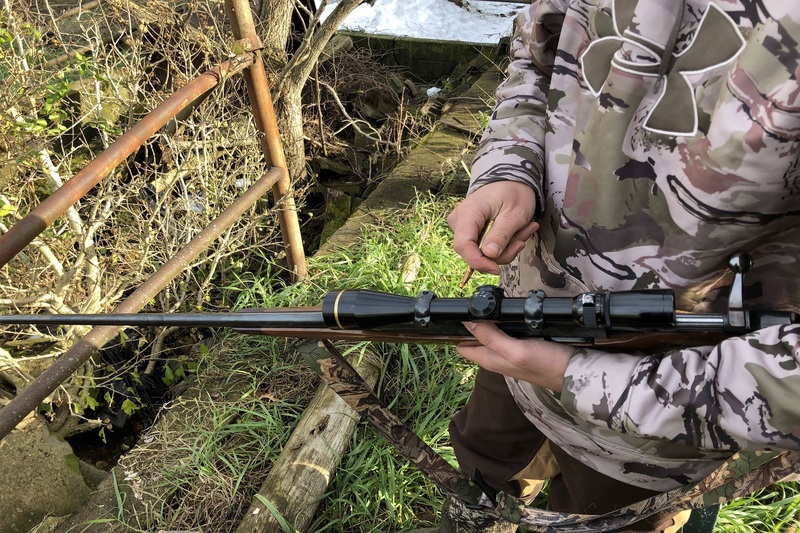 Hunter Cole Cushman looks down the scope of his Browning 7mm rifle. 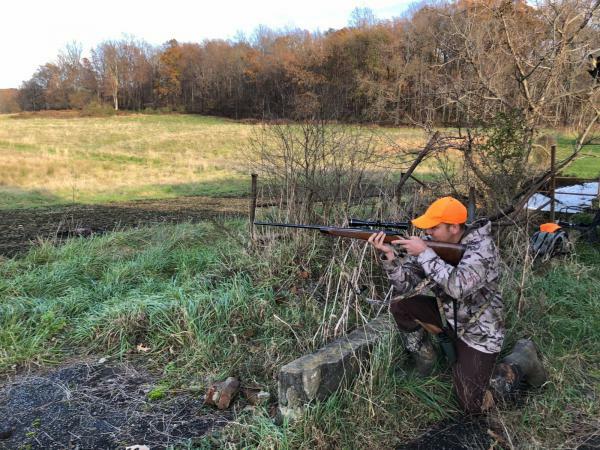 On an unseasonably warm November day, hunter Cole Cushman loaded his pickup truck with camouflage gear, bright orange hats and a Browning 7 mm rifle for a hunt deep in the Virginia woods. 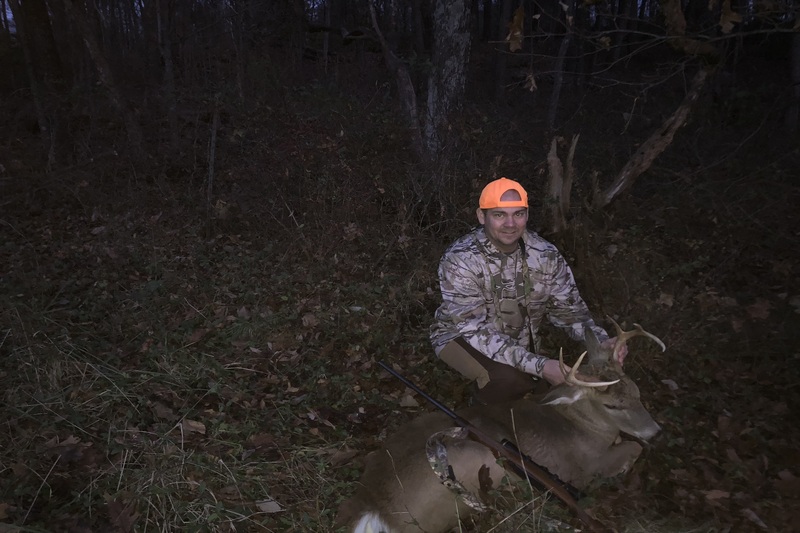 The autumn and winter months mark deer season for much of the United States, and for Cushman and other hunters across the country, a chance to feed their neighbors through various local hunger-relief programs. Cushman loads rounds into his rifle. Cushman loads rounds into his rifle.Since its founding in 1991, Virginia’s Hunters for the Hungry says it has provided more than 25 million servings of venison to families in the Washington D.C. and Virginia area. Similar programs exists around the country, including in Texas, Georgia, Idaho and Maryland. The program was launched after local hunter David Horne, while working at a different organization, noticed a lack of lean protein available to hungry families. Hunters often harvest more venison than they can eat. A single 90-pound white-tailed deer might yield nearly 40-pounds of meat. “He knew we had this need for the lean meat, and he knew there was this abundant deer herd out here that could be used to provide that protein,” said Laura Newell-Furniss, director of Hunters for the Hungry. Cushman, the hunter, said he mostly enjoys the serenity of the woods during the hunt, and relishes being able to donate most of his venison to charity. “I’ll kill maybe one deer for myself a year and kill one or two for Hunters for the Hungry,” he said. As the sun begins to set on the hunting trip, the likelihood of bagging a deer goes down with it. But just before nightfall, a wounded buck limps into Cushman’s sights. Two quick shots later and Cushman is loading up the deer – about 130 pounds live, he guesses – to deliver to a charity-affiliated processing center. Cushman poses with the killed buck. The U.S. Department of Agriculture estimates that 15 million U.S. households faced food insecurity at some point in 2017, including 10 percent of Virginia residents. At the Securing Emergency Resources through Volunteer Efforts (SERVE) food pantry in Manassas, Virginia, a recipient of Hunters for the Hungry donations, Darrell Dixon sees dozens of such families every week. SERVE provides emergency resources, including family shelter and medical care, in Northern Virginia. “People love the deer meat,” Dixon, manager of SERVE’s Hunger Resource Center, said. A client at the SERVE food pantry in Manassas, Va., picks out cuts of venison. 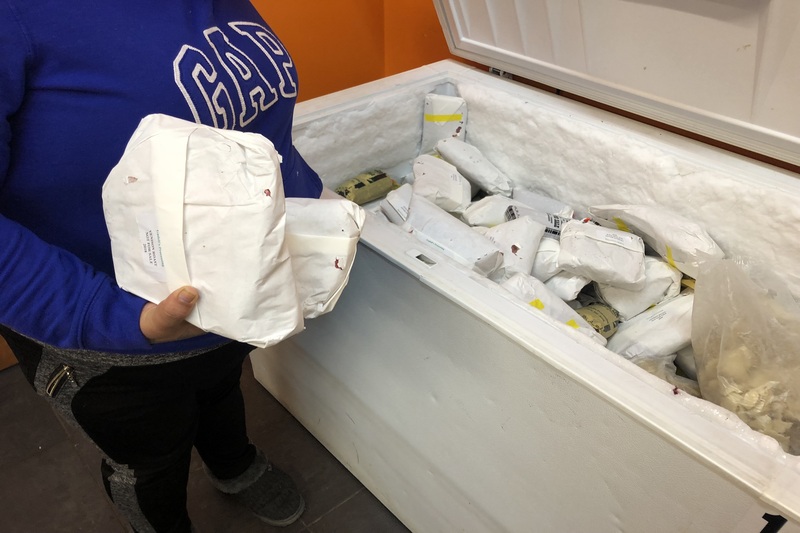 One woman, who was gathering food at the pantry for her family of five, including her mother and two daughters, went for several cuts of the donated venison.